Post-Christmas Cleanup Getting You Down? Take 10 Off! The holidays are over and everything has gone back to normal…except for the mess! 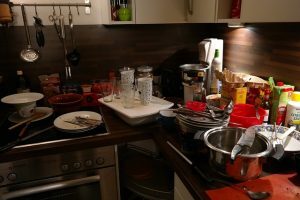 If you’ve hosted people during the Christmas break, the chances are good that something got spilled, dropped or forgotten about. To help you get back on track to the way your house was, we are offering a 10% discount on any cleaning service you require! Just use the code CLEANUP10 when you book and the Really Cheap Carpet Cleaning Brisbane team will be there ASAP. https://www.reallycheapcarpetcleaning.com.au/wp-content/uploads/2018/01/kitchen-231969_640.jpg 426 640 pippa https://www.reallycheapcarpetcleaning.com.au/wp-content/uploads/2017/05/Logo.png pippa2018-01-02 00:30:582018-01-02 00:30:58Post-Christmas Cleanup Getting You Down? Take 10 Off!